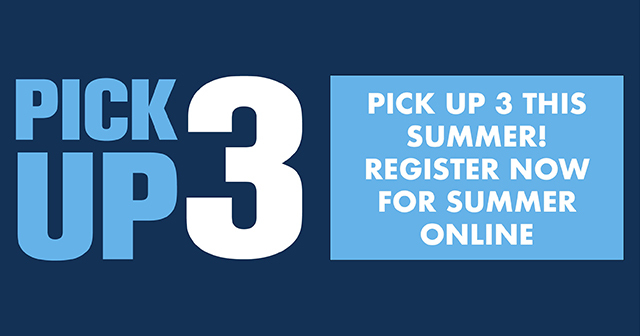 Students can easily pick up three credits or more this summer by registering for Westminster’s summer online classes. Enrollment is open for the College’s three-week and six-week summer online sessions. Receive a tuition break by enrolling before 4 p.m. Friday, Apr. 26, for the three-week session or by 4 p.m. Friday, May 17, for the six-week session. Students from outside of the Westminster community are welcome to enroll in any of these classes. 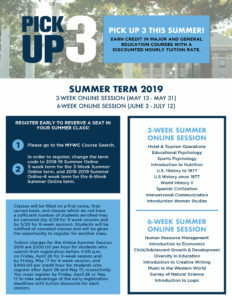 For more information on summer online course offerings, please see the information below. If you are enrolling from outside of Westminster College, please contact Dr. Susan Serota at sue.serota@westminster-mo.edu or 573-310-4005.